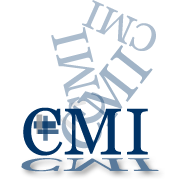 Having worked with CMI since 2007, it was a great honor to be able to redesign their website. The challenge was to create a re-designed website that would continue to be optimized across the Internet and also improve their search ranking. In order to provide a significant cost savings to CMI, they wanted to transfer their domain name and change hosting companies. This is never an easy process, in fact one of the support technicians referred to it as a “delicate process”. Working with both hosting companies, I managed to “Just Make It Happen”. After working thru transferring the domain name and setting up the hosting services, it was time to launch the website. The new website optimizes CMI’s online web presence and refreshes their brand. They also wanted to integrate with their Facebook and Linked-In sites. The re-designed custom website is built with WordPress and is functioning as a CMS for the company. Certified Mechanical, Inc. (CMI) is a full service licensed mechanical contractor providing services in Automation and Controls, Electrical, Plumbing, HVAC serving North Carolina, (NC) and South Carolina, (SC). CMI has over 30 years of experience and specializes in Industrial, Commercial, and Critical Facility environments. CMI is a complete Automation, Controls and Systems Integration provider. Ask CMI about sustainable, energy efficient solutions! Visit their connections and like them on Facebook!! Scenic Gifts of Mount Airy, NC launches new website and Facebook brand! It has been and awesome blessing designing Scenic Gifts’ WordPress website and Facebook page! This unique, family owned and locally operated gift shop, focuses on products made in the USA and custom handcrafted wood tables. Yes, they ship! You can find directions to the store, check out their custom built handcrafted wood tables by their own Wood Genius and see their new arrivals on their website. Be sure to like their Facebook page to get updates and sale announcements. This site was designed to creatively display all the unique products they carry as well and bring together their existing brand that so many of their favorite customers know and love. Updating their look and bringing together a rich brand and Facebook profile was ideal. Search engine optimization was included of course, as well site setup on WordPress, a CMS tool. You’ll find Scenic Gifts nestled in the foothills of North Carolina’s Blue Ridge Mountains, a scenic drive no matter which direction you are traveling, so stop in and try their fudge! You’ll experience, plenty of Southern hospitality and see their one-of-a-kind handcrafted furniture that has made this extraordinary shop legendary. I can smell the homemade fudge right from my computer screen! 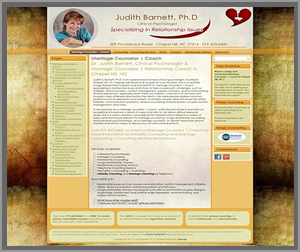 As the holidays are fast approaching consider a new look for your website in the coming year. Keep things current so your clients will benefit. Make sure company information is current. Add Social media icons if your business has a social media presence, like Facebook or Twitter. Make sure new products and services are represented on your website. Make sure there are no broken links. Keeping things fresh and current are part of SEO!